It’s been three months, two weeks, and one day since my dad died. While the pain definitely has lessened a bit with time, not a single day goes by that I don’t miss him, think about him, and wish he were here. I think that will be the case for the rest of my life. There are certain days that are harder than others, and sometimes the grief slams into me like a freight train coming out of nowhere. I don’t feel as if my life is the same at all. Once you experience the death of someone close to you, I think it’s normal to self-reflect and evaluate your life. If I were to die tomorrow, would I regret anything? Would I be able to say that I truly lived my life to the max? And are things set up so that my family is taken care of? 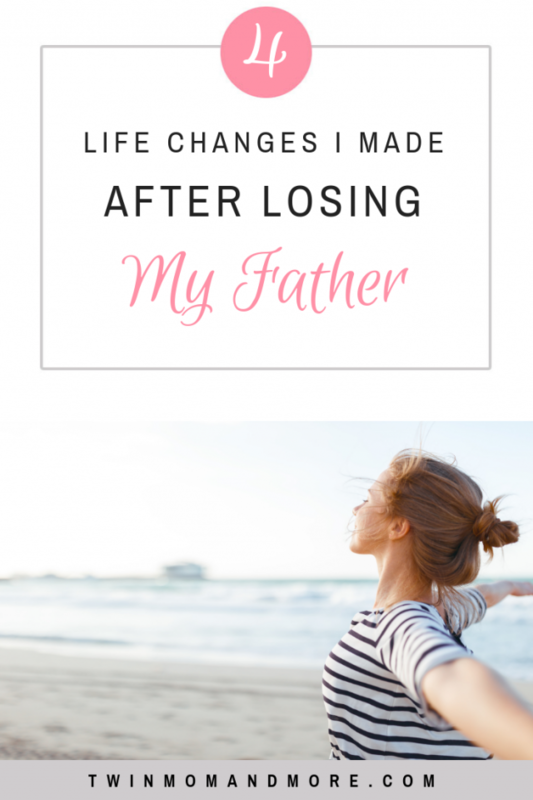 Here are 4 big life changes I made after losing my father. I have always loved giving my kids tons of presents on Christmas. I never saw anything wrong with it because we budgeted for it, and I don’t really buy them anything for the rest of the year. There is nothing better than seeing their little faces when they see the tree overflowing with presents. After losing my dad, I was struck with the thought that this could be my last Christmas with my children. You truly never know what’s going to happen. If it was the last Christmas with my children, how did we want to spend it? Opening piles of presents, or truly enjoying the holiday together? I’m not saying we didn’t get the kids presents… they still got a good bit… BUT, we invested our time and money into other things this year. We made a Christmas Bucket List and did a lot of fun, family activities. The biggest thing we did was take a ride on the Polar Express, which is ridiculously expensive but worth every penny. I think it’s fairly common for people to increase their life insurance after the loss of a loved one. However, we’ve always had really good insurance on both of us. Even though I don’t work outside the home and bring in no consistent income, we’ve always had good life insurance on me. If something happens to me, Ben will have to hire basically 17 people to do all the things I do. I kid, I kid. But for real, he’d have to pay for childcare and so that’s factored into our life insurance decisions. However, do you know what we HADN’T considered? The fact that he gets FIVE DAYS of bereavement. FIVE FREAKING DAYS. He’d get five days to grieve, comfort his children, and then get back to the grind. That is seriously horrifying to me. 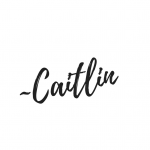 It took me two months to even be able to function somewhat normally and I took 3-months off of blogging, which is a part-time gig. No way could my husband and children survive going back to work after 5 days. So now our life insurance policy would be enough that he could take a leave of absence for a few months… and then pay for childcare when he goes back to work. Friends, life is SHORT. We are a very budget conscious family. Our budget is very intentional and a lot of our money goes into remodeling our charming 1890s colonial. We currently have a hallway and stairwell that need to be re-plastered, a bathroom that desperately needs to be redone, and a big laundry list of ‘wants’ such as a gas fireplace insert, refinishing our entire 3rd floor, adding a bathroom… the list goes on and on. However, this year, we’re taking our first ever family vacation. We’ve traveled with our children often to visit family, and Ben and I have done a few weekend getaways with our oldest, Theo, but we’ve never taken a true ‘vacation” with the children. Ben and I usually take a trip together each spring without the kids, which we LOVE doing. This year, however, we’ve decided to include the kids in our trip, and do a few shorter, weekend getaways for the two of us. It’s obviously going to be more expensive and way more work to take them, but I think it will be 100% worth it. I’m really looking forward to our trip and soaking up time with my babies and I think it will be healing for all of us. Nobody ever sets out to NOT be intentional with their time, right? However, we all fall into the trap of getting sucked into our phones, our to do lists, and our housework. When you lose someone close to you and you’re hit with the heavy reality that life could end at any minute, it can really light a fire inside you to put down the phone, ignore the dust bunnies, and cherish time with your family. I have some very specific memories of my dad that come back at random times. A few nights ago as I was tucking Theo in, I had a flashback to my dad giving me “Eskimo,” “butterfly,” and “caterpillar” kisses when I was a little girl. I started to think about what I want my children to remember from their childhood and I’m trying to be intentional in creating these moments with my babies. There have been moments when I start to feel anxious about losing someone else. When I have these moments, I gather my kids up into a huge hug and soak in the moment. I remind myself that right now, at this very moment, we are all safe and together and loved, and that’s all that matters.